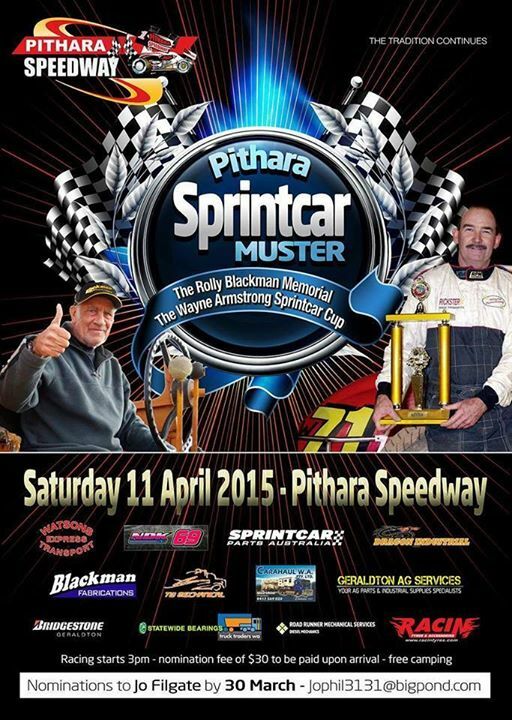 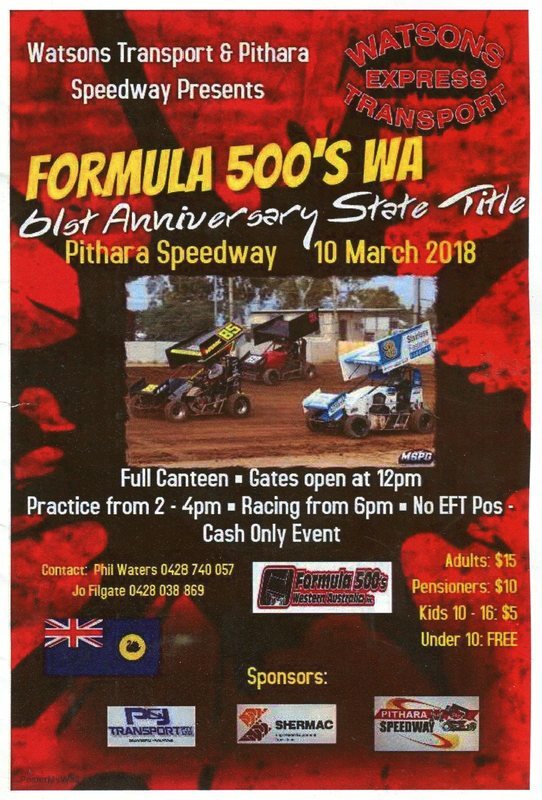 Pithara is also home for the famous Bradford family and also the spiritual home for the Bonza Bradford Memorial along with the Watsons all in sprintcar express, because of the remoteness of the venue special attension has been put into catering and camping facilities. 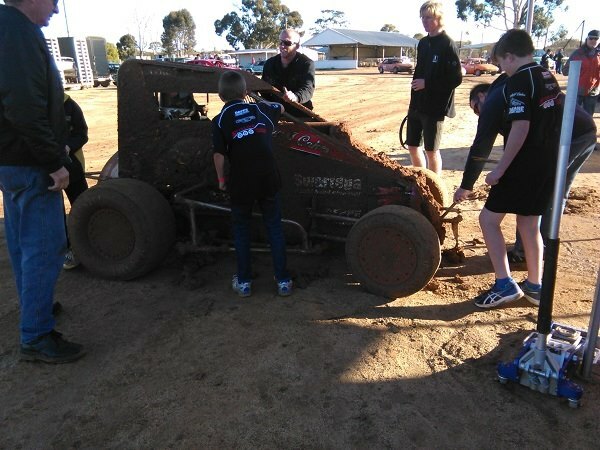 The Perth based West Coast Speedcars club run at Pithara Speedway on a regular basis, The club is very proud of its roll in the West Australian Speedcar scene, Acting as a training ground for rookie drivers to get some laps in prior to later progressing to the rough and tumble world of semi professional speedcar racing at the highest level, with the West Australian Speedcar Drivers Association, The other group of drivers that benefit from this concept are the former top line drivers that feel there bodies can no longer withstand the punishment that these cars can and may dish out, Club President Alan Meakins has raced many divisions over the years and has settled into this club to simply enjoy a bit of racing, The club boasts a healthy membership and all of the cars are late model chassis with a range of engines from stock block Mitsubishi's and Toyota's right through to the big cube V4 engines, A notable inclusion in the club this year and soon to be on the track is Geoff Pilgrim, former Australian champion and well known for his car-craft as well as race-craft ability. 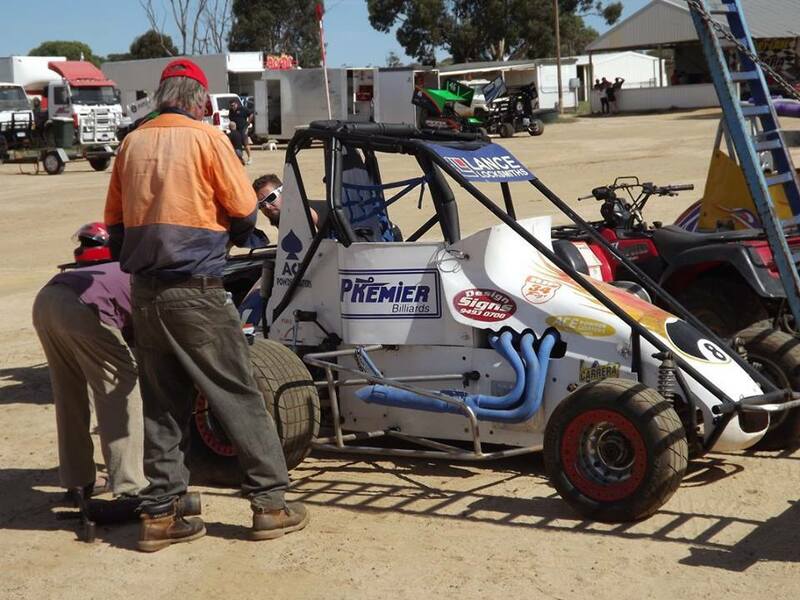 Rookie Perth driver Richard Cheeseman turned in his first lot of laps in his number 4 machine on the day. 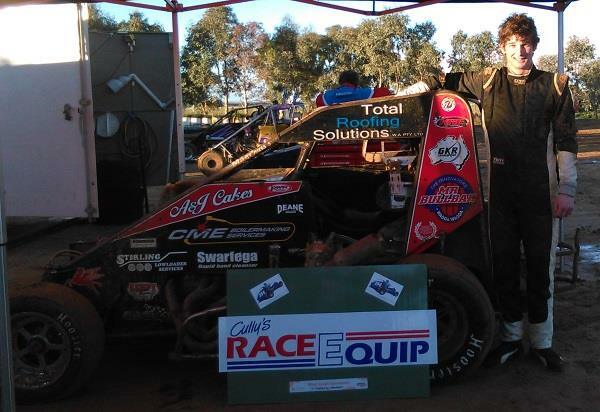 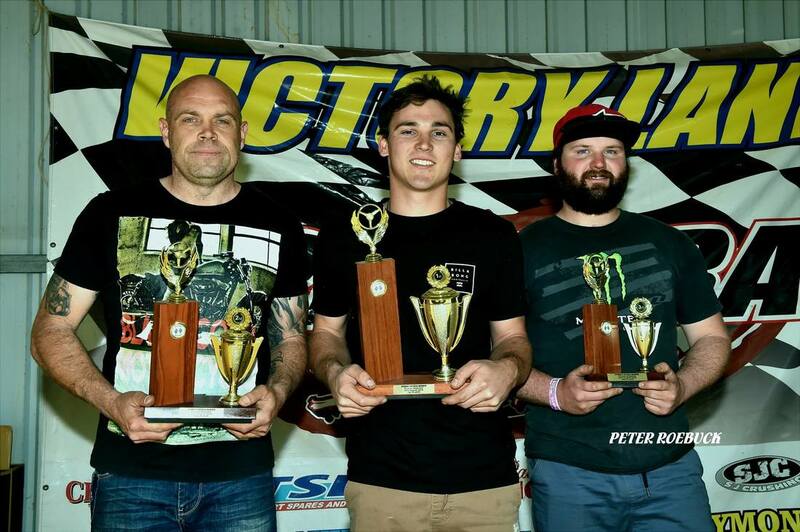 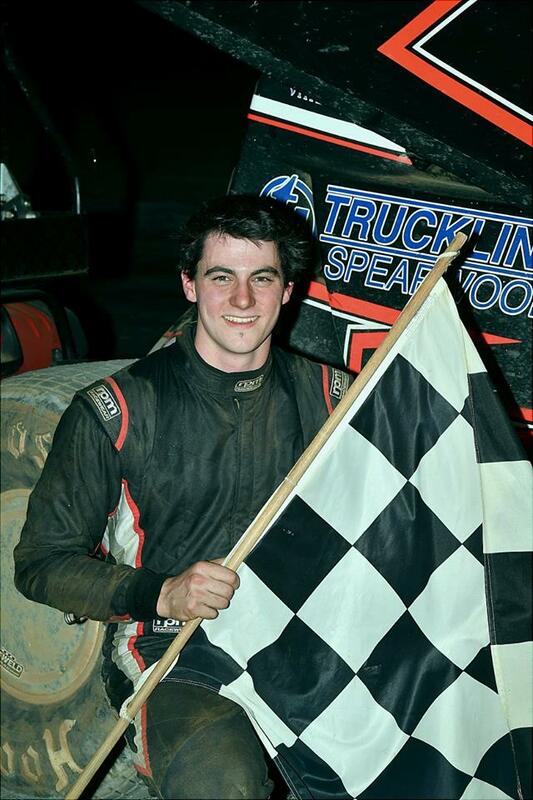 2016 Jai Dillon driving for McAllan Motorsport has taken out this year's Cully's Race Equip Speedcar Challenge. 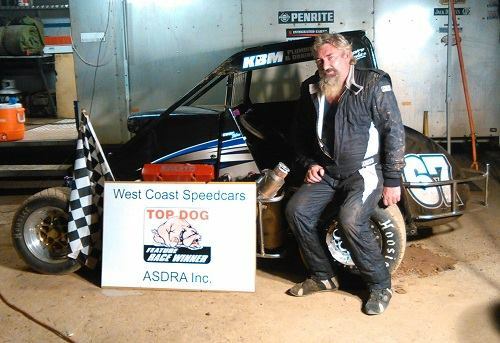 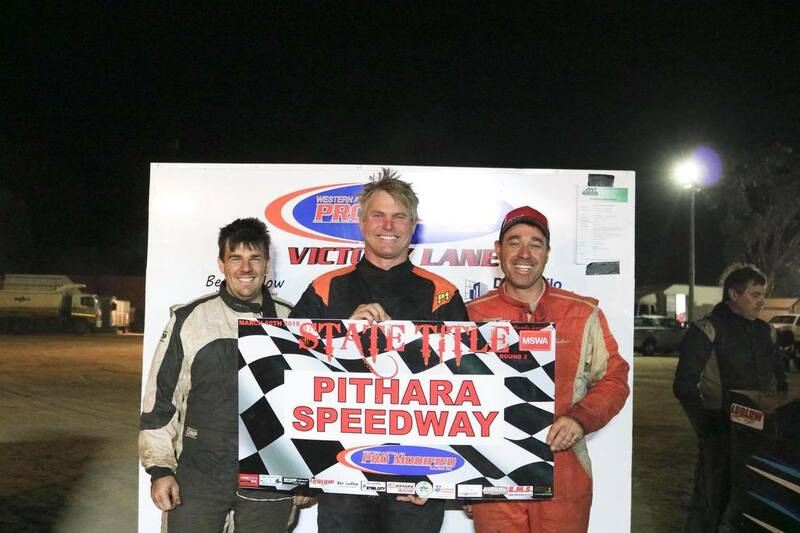 Daniel Ameduri has taken out his first Late Model feature win, in the Late Model Development series at Pithara Speedway, Nudge as he is also as cut his teeth in the rough and tumble world of Street Sedan racing with huge success. 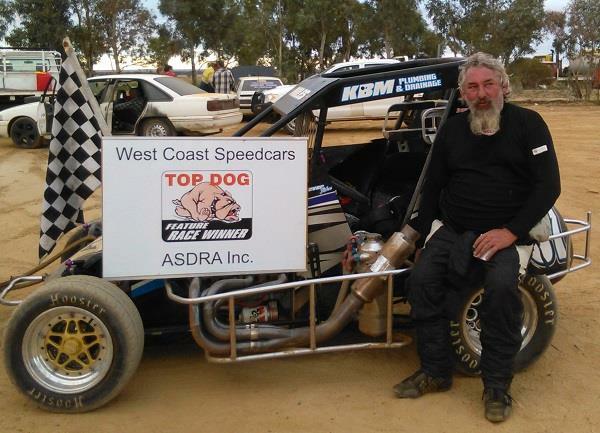 Mick Comley crossed the line in second spot the length of the straight behind Nudge. 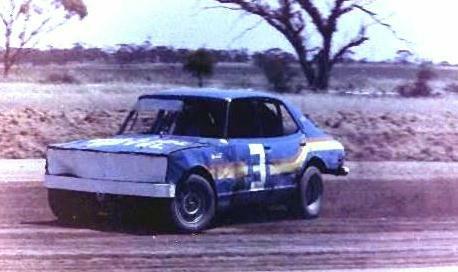 Aaron Hancock made his debut in Late Model racing, finishing a strong third behind Comley. 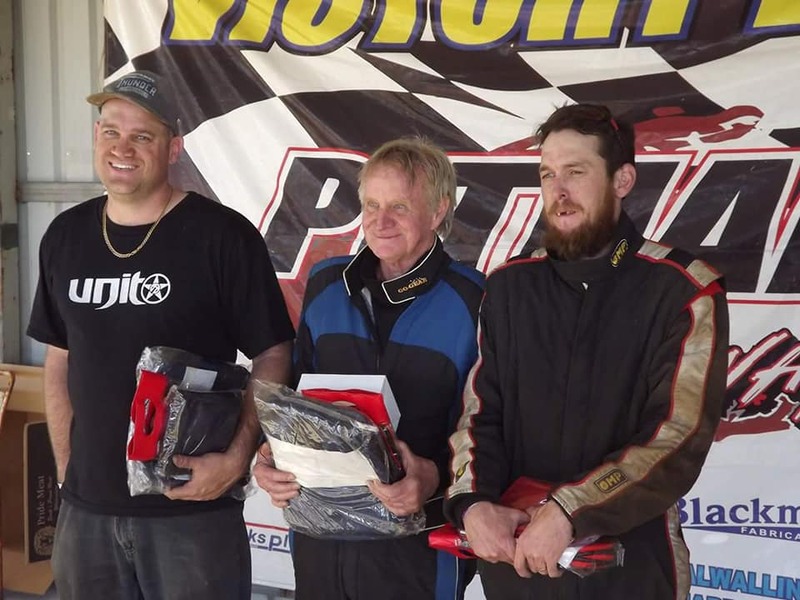 Previous round winner Ken Melvin from Collie, Nathan Callaghan, Lionel Kirkby and Phil Richards all ran strong on the day. 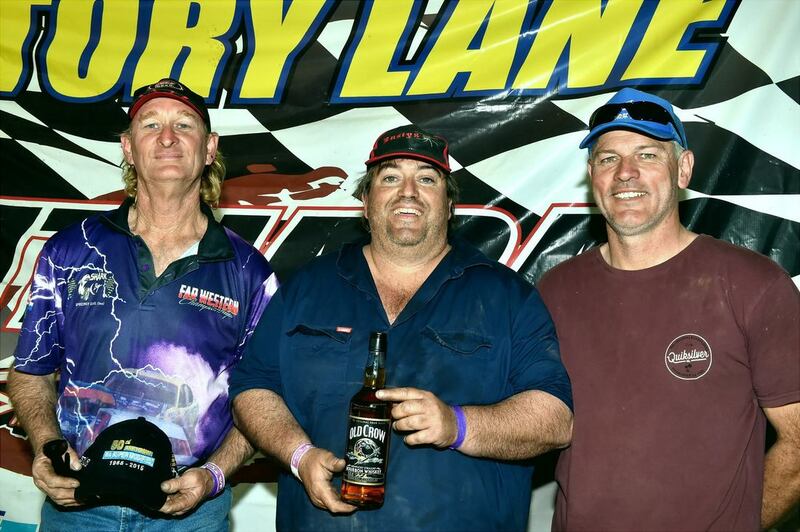 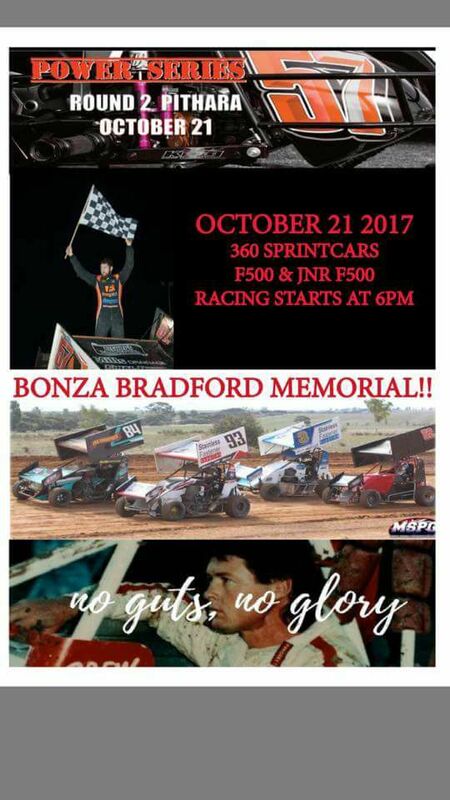 Pithara Speedway hosted the 2017 Bonza Bradford Memorial race for Sprintcars on the 21st of October 2017. 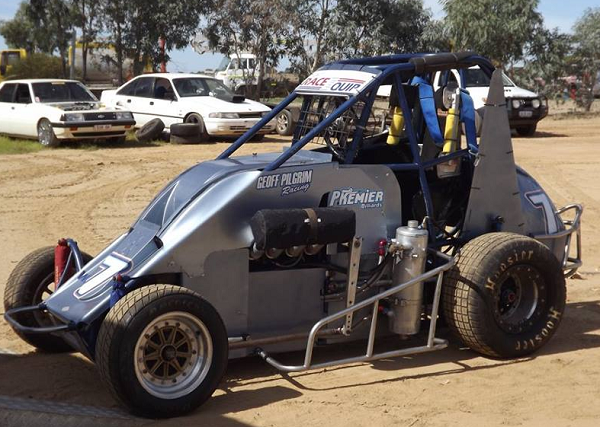 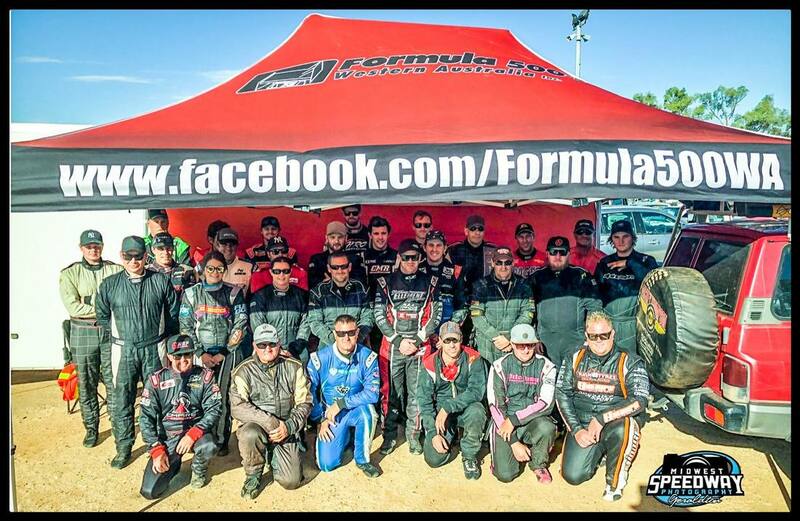 The meeting was supported by Speedcars and Formula 500's. 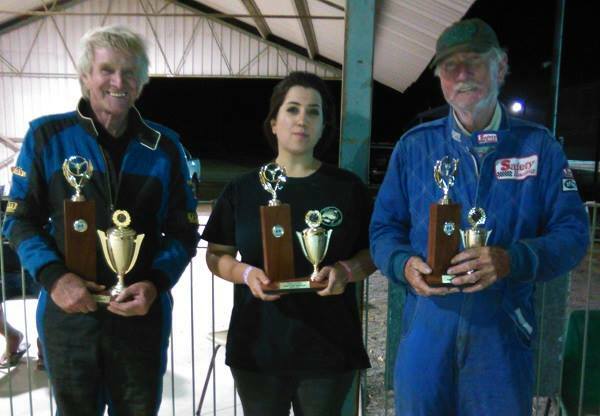 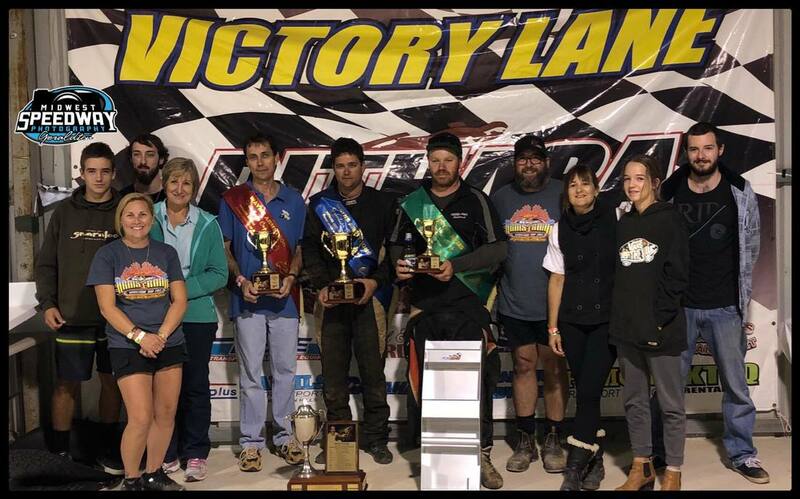 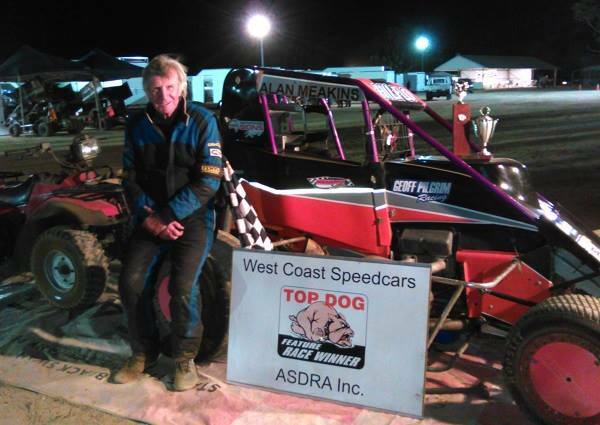 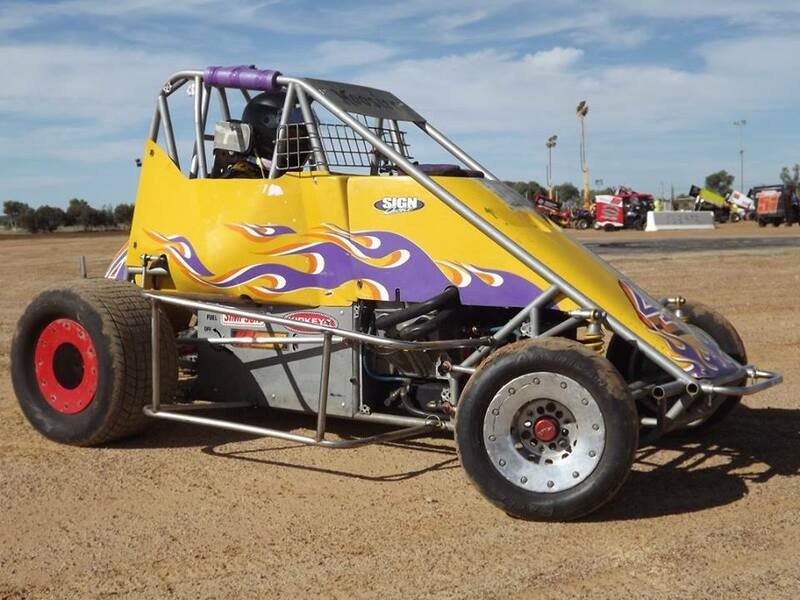 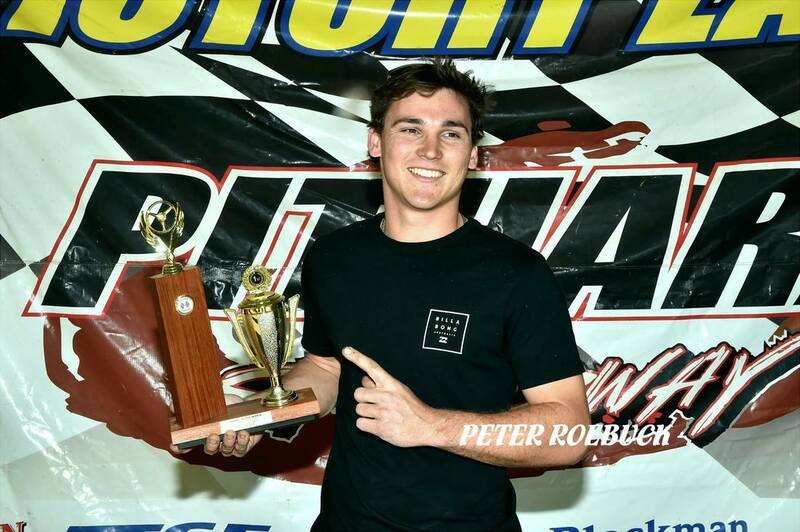 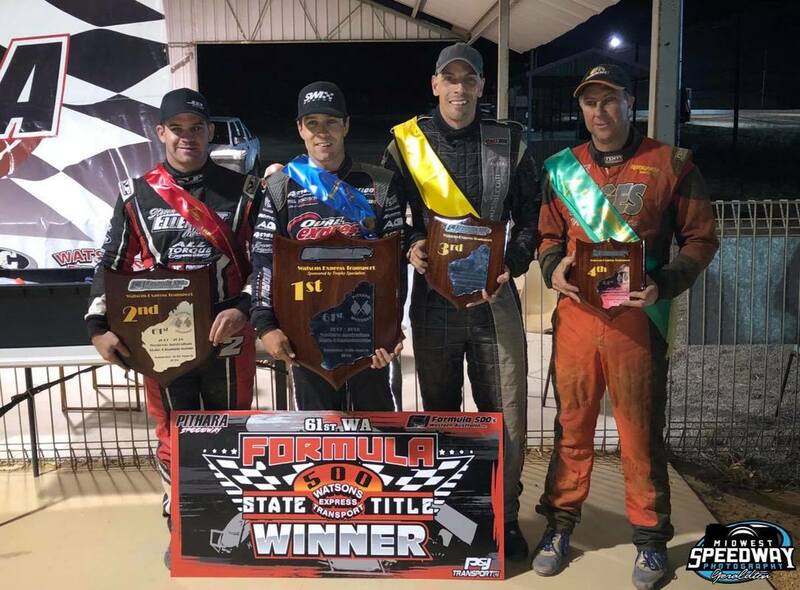 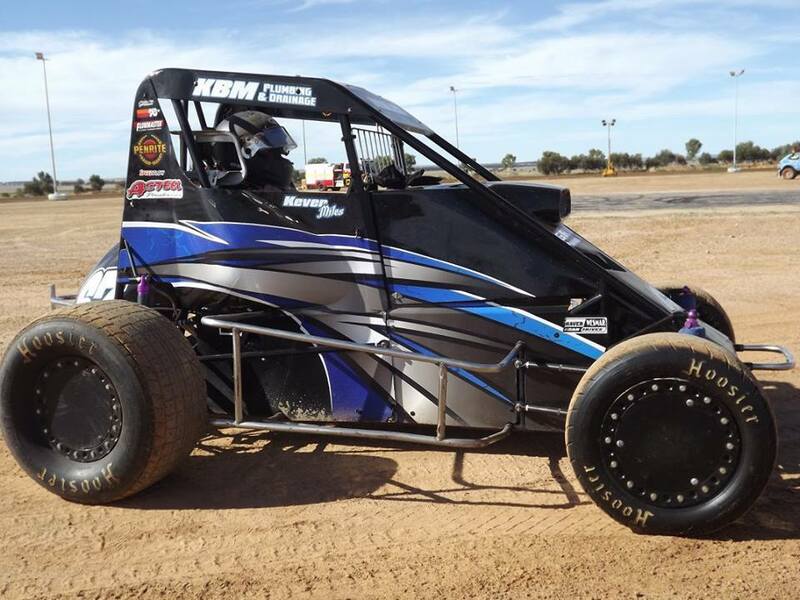 Pithara Speedway hosted the 61st running of the West Australian Formula 500 Championship on the 10th of March 2018. 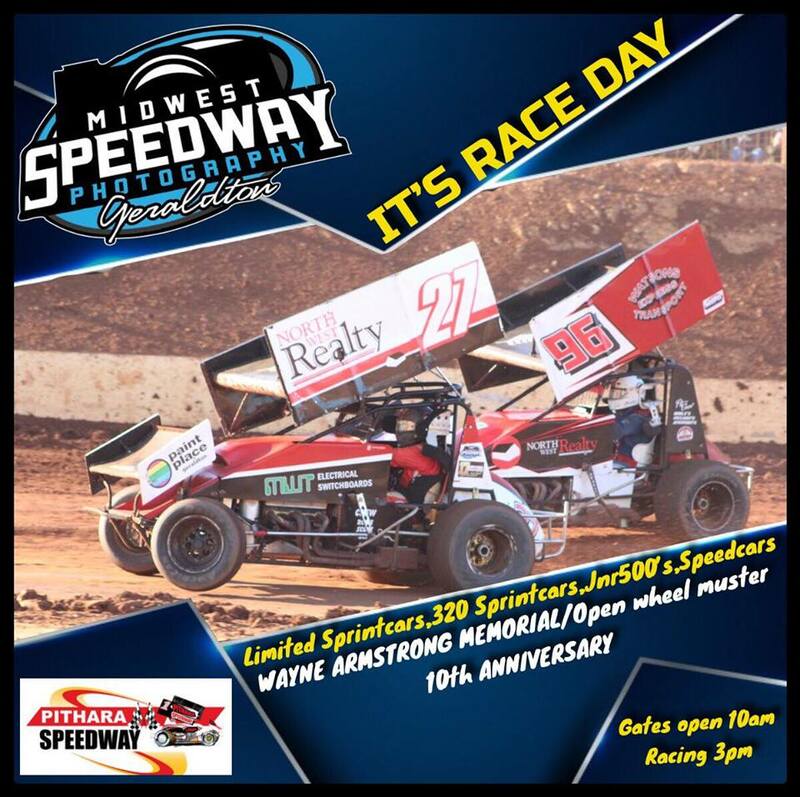 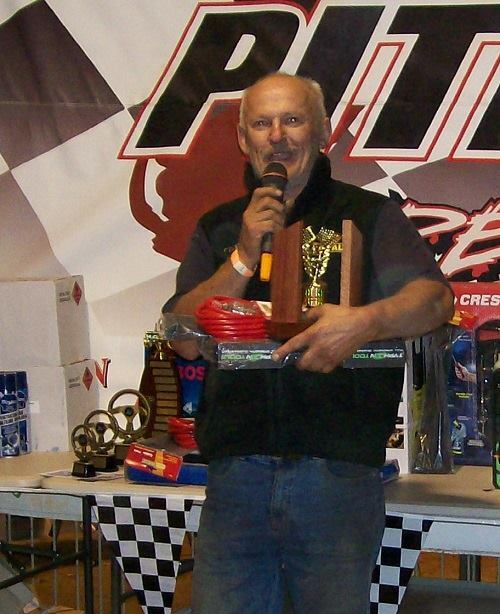 The 21st of April 2018 would see the final running of the Wayne Armstrong Memorial. 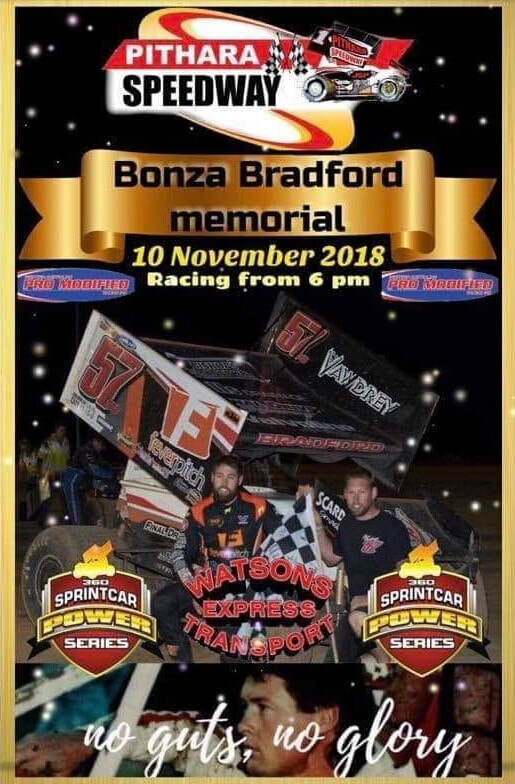 With out a doubt Pithara Speedway's biggest meeting for the season, The race meeting that pays tribute to one of there own, Ian "Bonza" Bradford, Bonza will always be remembered for his famous catch cry that he wore proudly on the cars, "no guts no glory". 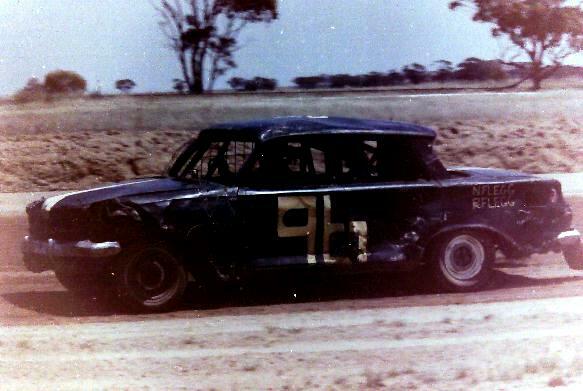 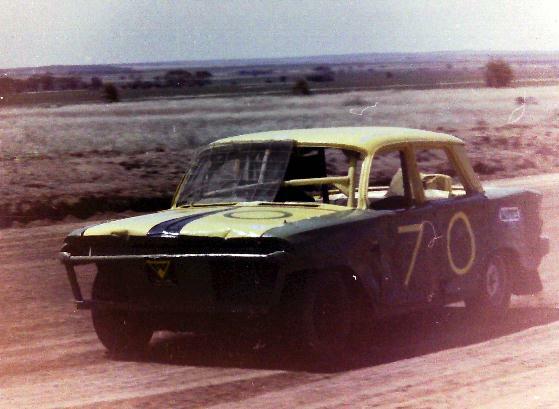 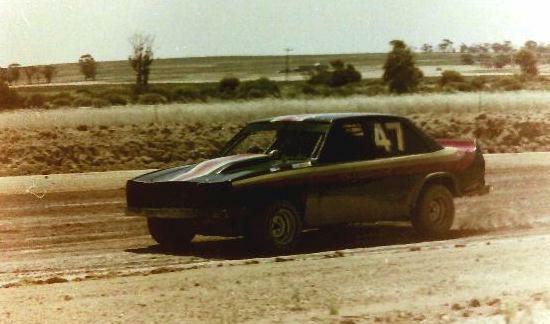 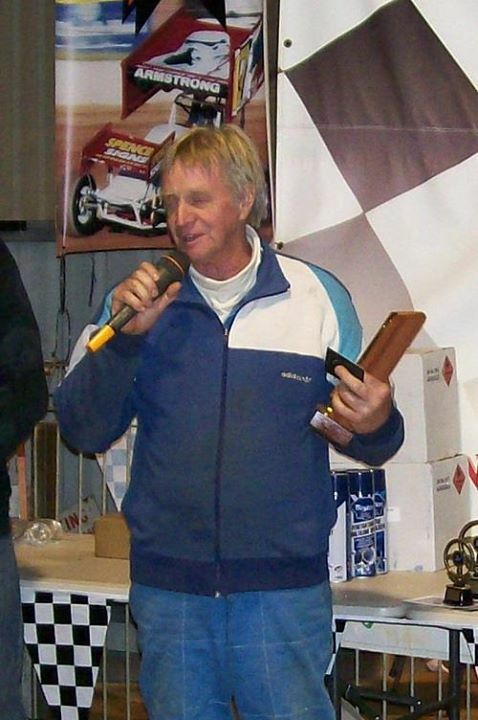 Although Bonza started his sprintcar racing with some of the lesser known teams, he rose to fame with his introduction to the Geoff Kendrick owned Action Performance team, along side his great mate Ron Krikke, The two just about dominated sprintcar racing at the big Claremont and Bunbury tracks. 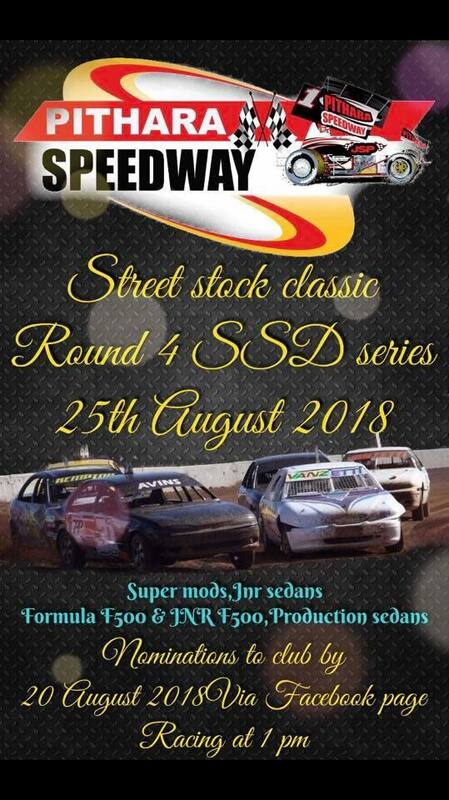 All was in ready-ness for another memorable meeting, that was prior to the rain of course, and down it came, washing out what promised to be a top meeting.